New Kingdom Hearts III Footage at 2.5 Launch Event! Brand new Kingdom Hearts III footage has been confirmed by our very own Sign, Master Spockanort and Zephyr who are currently attending the launch event for Kingdom Hearts -HD 2.5 ReMIX-! 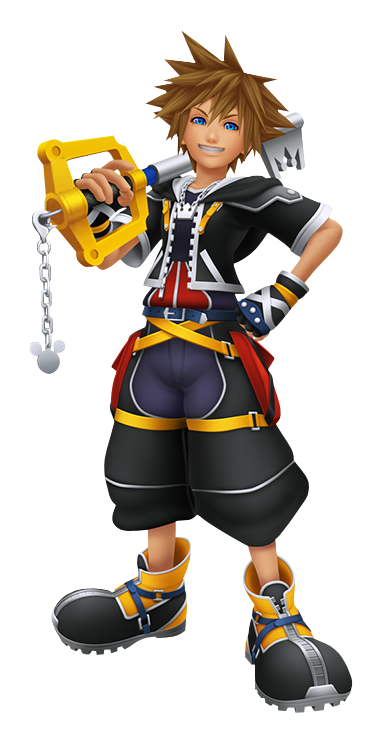 -Sora is seen in his Kingdom Hearts II Valor form outfit, no new outfit reveal. -Land of Departure from Birth by Sleep has been confirmed in the new footage and is said to be massive. -Brand new Heartless designs have also been shown, described to look like "gladiators". -Textures for new Heartless are incomplete. -Land of Departure has been revamped; main building now very closely resembles a tower seen in the Kingdom Hearts browser game χ[chi]. -Sora's Keyblade is confirmed to transform into dual guns. -Sora's dual guns then transform into a cannon. -Sora is seen in a library/study, facing a large window with curtains. What looks like chess pieces line the window ledge with crown and heart tops. -The lighting for the game is incredibly beautiful. Sora is bathed in a soft glow while standing in front of the window. -The footage is raw and very unlikely to be released online to the public soon. - Huge applause for Birth by Sleep footage in the pre-show trailers! - The letters "CT" could be seen under the Land of Departure-looking world. Looks similar to LoD but possibly is not the world. - Built on what looks like a hilly area with lots of homes and buildings on them. Keep checking back for more exciting information and let us know what you think! Really excited to see the Land of Departure's new design? And the Heartless designs! I'm silently very excited about this one, because not only Land of Departure deserves more screen time (and expanded, at that! ), but also because it now may be related to Chi. Is the tower the one seen in Daybreak Town, I wonder? I KNEW this game would have a chess motif. I imagine Eraqus and Xehanort's little discussion takes place over a game of chess. Gah..why must i be hyped about this especially seeing we won't be seeing any of this posted online anytime soon. Awesome, drive forms are coming back. GAAAH I want to see those heartless designs! I really liked the dream eaters from 3D and I'm hoping for more dinosaur-like enemies. That's a very good point. For the Land of Departure to be back to normal Ventus would of had to be awakened, right? I can't wait to see how they bring them back. So is it safe to say drive forms will pretty much be back,it'll be nice to see how drive forms will look on his new outfit. Especially would like to see each form get it's own limit attacks like limit form. Well now we can guess the theme of the new enemy type. Because its a main game, there's gotta a new enemy type. OH MY GOD! THE HYPE! I CAN'T BELIEVE IT! I liked Land of Departure too. They can definitely do a lot more with it. But again if they're going to include stuff from Chi in KH3 they need to localize the game first. That's the only thing that's bothering me. That'd be freakishly awesome. Though I don't see how they'd bring the Dream Eaters or Bugs back. Who knows? they may even have to visit a sleeping world again or something. I'll be up all night for this and homework, I wanna see the revamp Land of Departure and everything. Didn't expect a trailer now. Reading how massive they've made Land of departure makes me more hyped in seeing older worlds returning and just how much bigger in comparison it'll be from previous iterations. I would still consider this somewhat of a concept trailer since it's obvious that not all the details are worked out so I wouldn't consider everything to a T yet. Land of Departure showing up just means that it was easier to get done and that other worlds aren't ready to be shown yet. Doesn't necessarily mean much in terms of stoy. With that said, I'm so happy that it's going to be massive! I get the reasons why, but it was disappointing how small it was in BbS. I really want to explore the castle and the training areas. LoD just looks like it's intended to be huge and I can't wait for it to get the overhaul it deserves. No recording devices weren't allowed for this special event, am I right? It's mind boggling! I must SEE!! It's very possible this trailer either does not take place early in the story or if it is even in the story at all. Like the people who were digging into the Sora picking up the Master Keeper in the first KH3 trailer when that first came out, we cannot know if this new footage is even going to end up in the game. Given Maleficent has an interest in the data of all worlds, I can see Bugs making their way back into KH3 pretty easily. Also, last we know of Sora was he was back in the RoS so DEs may make a short appearance. I'd like for all the enemies to make an appearance to an extent in the game, but I'm not holding my breath on anything major for some of them. While I find it interesting that LoD may be related to Chi (can't say I'm shocked since out of any world thus far, I would peg LoD as the oldest world we've visited to date and thus closest in relation to the keyblade war given 2 people who came from it know of it, 1 even wanting to re-create it), but I do hope they do something for those who don't follow Chi since if people think the story is confusing enough, wait till they get ahold of a canon, Japanese-only computer game. Also, while I really hope LoD is HUGE, I hope they don't cheat out on other worlds since I do find that (at least in my opinions), the Disney worlds, on average, tend to be smaller than the original worlds (minus a few in each game) which always kind of makes me sad since in all honesty, and this is just opinion now, I'd rather walk around the Disney worlds since that is what originally attracted me to KH. I have full faith in this getting leaked and I am eagerly awaiting when I will be able to watch this. Maybe it's a "restored" version? LoD in BbS looked kinda... messed up. I hope this footage makes it online somehow. Yeah, there is a good chance of it being the new and improved Land of Departure after Ventus is awoken. Like kupo mentioned, with Maleficent and Pete going after the data the bugs could reappear through them. And don't forget Heartless from Space Paranoids (a data world) were brought into the real world in KH2. I agree. I was really disappointed that we weren't able to explore the inside of the castle in BBS. I'm glad that we are getting some information on Kingdom Hearts 3. Maybe they will show the trailer by the end of this month. PLEASE O LAWDY TELL ME SOMEONE TOOK PICS! Sora is seen in a library/study, facing a large window with curtains. What looks like chess pieces line the window ledge with crown and heart tops. Anyone thinking we will be seeing tim burton's wonderland/going back to wonderland again? Possibly a boss being the jabberwocky(? if that's how you spell it). Should note the guns and cannons were still Oathkeeper. We (Sign, Zephyr, and I) shook Nomura's hand. Goodbye my friends. Video and photography was strictly prohibited. someone's gonna leak it soon enough. or someone in the company will leak it. Not saying it will be the case, but it's a possibility. that's why i said it wouldn't be the case heh. Well, we'll have to sit and wait and see if it shows up. I bet google is being stormed with searches for any leaks by now. One enemy looked like a souped up Blue Rhapsody Heartless with flames around it. Another enemy looked like the Soldier Heartless type with angel wings. A new enemy, a large Heartless with a bull-horned helmet, looked like a knight. There was also a tiny Archer heartless holding a bow with a quiver on his back. Some of these were sketches, but others like the Knight Heartless were 3D models. A clip of Sora wearing his Kingdom Hearts II costume was shown next. He had the Oathkeeper keyblade in his hand which could transform into a gigantic gun. When fired, Sora would rock back a little bit and a star-like projectile fired from the bazooka-like weapon. The next scene showed a town with white houses stacked on top of each other and huge windmills. This town seemed grand and tranquil, not unlike Twilight Town, but instead of a sunset palette the buildings were primarily white. A plaque underneath said "Cable Town" and the camera zoomed into one of the buildings. Doors opened and the camera panned horizontally by chess pieces (one of the pieces had Mickey’s head on top) and a chess board. The scene switched to Sora entering the room and walking towards the chess pieces which were placed by a window. Sora picked up one of the pieces and the trailer ended with a message promising more Kingdom Hearts III news in 2015. Damn... o well I hope for Square to show it off in its entirety. Hohohohohohoooo! Im am practically smoking from my ears right now with jealousy. Shook Nomura's hand? Watch new KHIII stuff? Are you all 100% sure it was the Land of Departure and not a similar looking town? You should have asked him about Kingdom Hearts 4. His expression would have been shocked or something. I'm just gonna assume that a handshake was probably all they had time for. A handshake and a quick "Thank you", most likely. Yeah, I'd imagine how it was. It's more like a handshake and take the exit? A little vocal shot would've befuddle the game director and probably a nice smiling reaction from him afterwards. Makes me wonder what next bit of KHIII news will crush this one? You realize April is five months away, right? Anyway, thanks for the info. It will make me more excited tomorrow when I start playing 2.5 Remix. I can't wait to read more. Thanks you guys! Been lurking on these forums for a while. Thought I had a registration, but guess it got deleted since I didn't really log in. Got my copy of 2.5 reserved for tomorrow and this news makes me excited for what the new year will bring about KHIII! You guys touched him!!! what was it like? i got only one thing to say for all this, but let him do it for me! I'm so unbelievably happy about Valor form, but very, very worried about it as well. I did want all new forms, but that's okay because I know for sure Dual Wielding will be back in some form now. The thing is, every master has elemental shifts. It would kill me if for some random reason, Sora was the only master incapable of this. For instance, Terra, Aqua, Ventus, and Riku all had a "Fire Form". The thing that would make Sora's unique aside from every master's individual forms or "command styles" as they were called, would be that Sora utilizes a fire form while using 2+ key blades. I'm afraid there's a chance that it won't be implemented if regular drive forms return in some form. I find it hard to believe that Nomura would bring them back in some way and not add an element the new ones, but with regular summons potentially gone too, I'm a little concerned. Also, it would be nice to see him use 3 again like he did in Final Mix while fighting Roxas. With Ventus, Roxas, and Xion all being a part of Sora in some way, I think it could work. Aside from that, I look forward to seeing the old places made bigger, better , fully explorable, and in beautiful HD. Also, KHinsder is my source for new kingdom hearts news, but out of curiosity I went to KH13 to see if there was more info. It seems like they saw a couple of things as well, aside form what was listed here. I'm so excited! I just want it to be leaked RIGHT NOW! I'm actually surprised that they would drop such a huge bomb like that and not release the footage immediately after online. This makes me question what's going to happen at Jump Festa though. With SE's track record, I have a hard time believing that they have nothing big planned. I mean, they made a lot of huge announcements at Jump Festa in the past, so I don't see why this should be any exception? I think It's safe to say that any KHIII news is a no-go since they said to expect news in 2015 (which is totally fine now that this happened), so it makes me wonder. Possible DDD HD announcement? I mean It's a little early since 2.5 literally JUST came out, but it would be just one game instead of two and a movie? Maybe Chi localization? I refuse to believe that nothing worth talking about will happen at Jump Festa. We've tweeted more information since then. I'll copy it all here and update the OP. Ok so I qouted myself only becuase of what I just found. Interesting that the new Land of Departure has a tower from Daybreak Town in it. Daybreak Town is a town from Kingdom Hearts Chi. Chi got an update a while back that had some suspicious story elements in it that looked like teasing for KH 3 and I guess the speculators were not wrong. So if this guy is right, than this is the extension of Land of Departure that was mentioned before. I'm happy Land of Departure will give us more freedom to explore. So nothing of Riku or Kairi yet, huh? Hope we hear anything about them soon. Given that they showed this to English audiences, do you guys think this footage will be shown at the PSX this weekend? They say it's unlikely going to be show to the public, but could that be just to build hype for a fake out at PSX? Maybe. Otherwise, I'm thinking we'll be seeing this at Jump Festa. I don't think the Siliconera rep has seen anyactual Blue Rhapsody in a while. The town's name also wasn't revealed in the video, and Sora did not pick up any chess pieces. Given that they showed this to English audiences, do you guys think this footage will be shown at the PSX this weekend? They say it's likely going to be show to the public, but could that be just to build hype for a fake out at PSX? Maybe. It's really hard to say. They've kept private concept videos well, private before. If they say that new info is coming in 2015 we might just have to wait until then for anything new. Of course, tonight could have been a special preview that will be shown soon. It's really impossible to judge. Also, while I usually hate leaks, I really REALLY REALLY want this to get leaked, like...badly! Is it selfish? Yes. Do I care? Sadly no...I WANT IT! Site Staff Admin Sign got to interview Nomura! Gaaaahhh! So much news and things! So many questions: If the Land of Departure looks so different how could you tell it was the Land of Departure, was this confirmed by the staff? 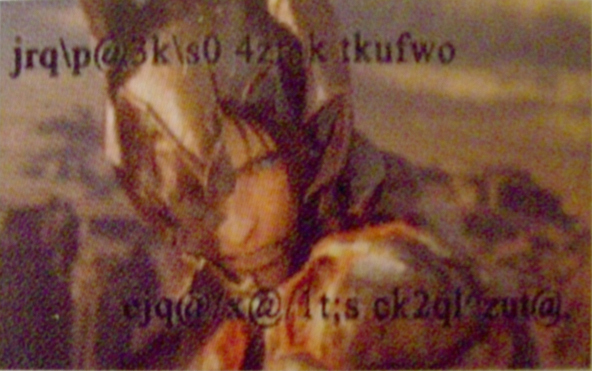 Also the abbreviation Square Enix used was always DP, not LoD. Is the tower the main clock tower of Daybreak Town or a different tower? Does it stand in the same place as the castle in BBS or why do you think the world has been remodeled while it could also be a different location in the world instead? I'm really sad we won't see footage of this, it's like this TGS 2006 trailer for Kingdom Hearts II Final Mix that never went public. If you're going to the European Launch this week, there's a good chance you'll see this same KH3 trailer. Personally I'm also skeptical it's the Land of Departure. Why would there be a village there, even if it reformed? Who would live there? I can't be 100% definite since I wasn't able to attend this event, but this same situation happened with Traverse Town when they added a few extra districts. Whose to say that there wasn't a village/town in the same world but we never went there because our time in LoD/the story never called for it. I find that hard to believe. If there was a village/town surrounding the castle, then what happened to it when LOD became Castle Oblivion? Cast into the Darkness like Destiny Islands was and now it's one of the sleeping worlds they could dive into in kh3?? The town became of a part of the realm of inbetween, and if there were multiple parts to the world, it would explain that weird grass crossroads we see in CoM??? Only the Castle was transformed into Castle Oblivion and the rest of the world remained untouched, and the survivors have rebuilt their society over those 12 years??? There's a lot of scenarios they could take with this. That's fantastic to hear! What did you think about the part of Sora in the room. Some people say that was in-game footage due to how Sora moved. Do you reckon that's true? The reason we had initially assumed it was LoD was because Eraqus's symbol was plastered in the overhead arch of the room we were shown, and because it shared the overall white/gold/brown color scheme. 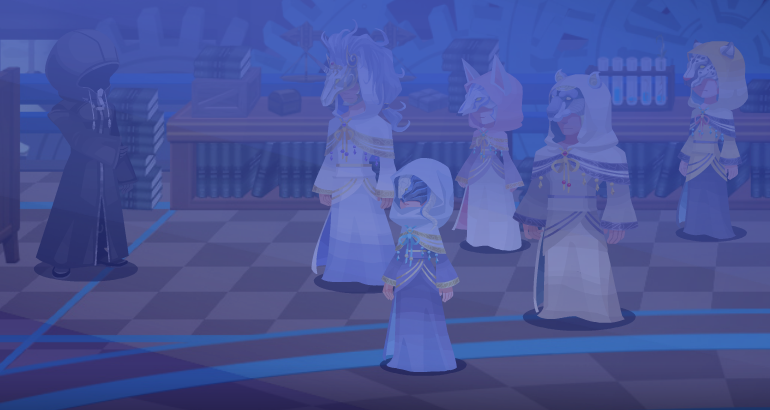 Perhaps the location we were shown is like some kind of hub for Keyblade masters and apprentices that goes back further than just Eraqus's time? Food for thought! Picture 3 hills, side by side, with the one in the center slightly taller than the two on the sides. The town is quite dense and appears as many levels stacked on top of one another. At the tip of the hill in the center is a tower that is practically identical in shape to the one in Daybreak Town with that unique T-like shape, with chains linking the far corners of the tower to the tips of the other hills, a motif we also see in the castle of LoD. a) this town (Cable Town?) is situated at the same world the LoD-Castle is (we only saw a small glimpse of that world in BBS after all), maybe even in the same mountain range but out of sight of "Eraqus'" castle. b) the scenery is LoD in the past before Eraqus' castle was even built and Sora accesses it through a digitized book like what Coded with the new Maleficent-scene implies and what we already see with both the datascape and Tron's world. Both scenarios allow for Sora to visit that place without necessarily implying that Aqua and Ventus are already saved and the castle we know from BBS is already restored. I was expecting just to go there and shyly pick up some merch and enjoy watching Tai Yasue talk about stuff but man if that happened....I will definitely have my own impressions to say about it if they do show it. I'm just hoping the next public trailer they show has another character appear. Like Riku or Kairi. I think that was the same thing that happened with the NA event. Very little details were released so fans had no idea what to expect at all. Based on the information of the heartless, if I was to say what world they're from sounds like Brave. Hmmm, it's kind of all over the place, honestly. One Heartless had a big doofy hat and was lugging around a bow and quiver full of arrows. Another was very obviously based on Greek gladiators and was a very tall and buff Heartless with thick armor, complete with shield and sword. Another seemed to be lingering within a burst of fire. Well I predicted Hercules would be back. Actually the big doofy hat now makes me think it's not Brave, it's Robin Hood which I'm 100% for that and Jungle Book. I'm totally expecting Frozen as a world. I suppose they could be generic Heartless designed to be used anywhere once worlds are actually assigned, though the big doofy hat with arrows makes me think of Robin Hood. No matter how large the gap of news is it always feels like it's too soon. I never cared for the Drive forms but I'm fine if it's just Valor and Wisdom. The floor is basically a chessboard but that is actually a very common pattern for floor tiles so maybe that's a stretch. dude this is amazing. Drive forms and double keyblade transformation is beast. The Trailer really had some good Quality, but I really want them, to release it on YT or something like that. If so, then maybe someone did take pictures/record footage of kingdom hearts 3 and will post it a day or two from now? The KH3 footage was shown right at the very end as they were preparing to kick us out. The image shown was near the middle of the event. The latter part of the first half, I guess you could say. Shame on the person who posted it though. They strictly prohibited any videos or photography, especially of Nomura because he is absolutely not comfortable with his picture being posted on social networks. My experience with the western fandom is that if someone did manage to do that, they certainly would never wait to post it. The surprising thing about the event was that the fans there were all very respectful of the rules that had been established. If you're hoping for a leak from an attendee, it will probably not happen. We did ask at the event and also in an email about 10 minutes ago, whether or not the footage will be released online. We posted the response we received the first time, so we'll let you know what the second answer is. I have a question for the three that went. When you guys saw the footage. Did it felt like you guys knew that there has been some substantial progress on the title or did seem there was still much to be seen? I understand if the kh3 footage didn't appear until the end of the event, and people might not of had time to take it. And nor am I saying that an attendee would do it, hence the comment I made a couple pages ago on this topic. Just saying that there could be that slim chance some quickly snapped some pics or a short recording since we have a pic of the event. And yes there could be that chance that they will official release the footage later, considering the latter half of your post mentions the second answer like it's something we are wanting to hear, you know? Sora is seen in his Kingdom Hearts II Valor form outfit, no new outfit reveal. Pure laziness. I guess reusing assets saves time for them I guess. What they showed was really good looking, but definitely not complete. Not as rough as the footage we got last year, of course. The textures were glossy on the enemies so they still need work. The animations shown were good but not really indicative of what would ever be the final product. They were showing off the transformation styles of the Keyblade and rough special effects. The not-really-LoD-or-Daybreak-Town world outside view was also incomplete, but it transitioned from concept art to the 3D model to the room really fast that it is hard to remember just how good it looked. The interior looked fantastic, but it felt off. The lighting was phenomenal, the assets they built were really well made and gorgeous, but you could still tell everything was incomplete. They level of detail they had was amazing, as well. It just had too much of a sterile feeling. That is something that would probably be fixed by shaders and more work on the textures. All of this footage was shown under a minute so...you can imagine that there was a lot happening and not enough time to absorb and analyze and certainly not enough to truly judge progress. The second viewing definitely helped to confirm certain things (i.e. Valor, Wisdom form) and to spot new details...but my opinion is that they have a ways to go. They clearly have been working hard. It's because they are testing animations and don't want to reveal outfits this early. Alrighty, so definitely 2015 is the year we will get some thing to know about. Now I highly doubt there'll be any Kingdom Hearts 3 related for this month from the upcoming events. Something that you theorists would love is that besides the chess pieces, there were also what seemed to be go pieces but they were square and lined up and it looked like a shogi or chess board. They could have just been alternate chess pieces...They just made me think of go first because of them being black and white while the chess pieces were a lot more neutral. Honestly I'm even surprised they showed raw footage to the public at all, I can't remember a single instance where Square Enix has done this in the past and for good reason I might say, as unfinished material is often used to quickly judge the final product. I'm not really sure where this pressure on the KHIII team is coming from (same with the announcement teaser earlier this year), but I don't think that's good. I wonder if anyone noticed that Sora is the King piece of the board. Umm, I'd say there's a lot to discover. It was really just a bit, the "Trailer" wasn't even very long...I think 1 or 2 minute(s). I love the idea, that Young Xehanort and Eraqus play chess(or any other board-game) while they are talking. It fits there so well. This made my day. :D That dam delicious symbolism. I think I gotta have to agree with that, it has already shown with smaller things like i.e. people theorizing on when or how Sora may gain the Master Keeper even if that scene is confirmed to be symbolic and not part of the final product. Or now with the new footage where they use KH 2-Sora in Valor form apparently as a placeholder people directly jump to conclusions that Drive Forms return in KH III when it may in fact not mean such a thing at all. Would fit with Sora's constant crown symbolism as well as the several images of him sitting on a throne. However, in chess the king is normally a piece that has to be protected at all costs and doesn't go into the offensive itself, not really a role Sora is known for in the series. Not to mention that we have already a real king on the team with Mickey. Considering Sora's versatility I would see his role more as a knight piece. All of this information is wonderful. I dont even think it's too soon. As KH fans we love to theorize, so when we get thrown a bone we go hogwild! I also picked up on the bit about Drive forms simply being used as placeholder outfits. Seeing Valor and Wisdom doesnt really confirm them in any way. Its a warm and fuzzy conclusion to jump to, but certainly not concrete proof. I know practically nothing about Chi, so I cant speak for any of that. But the whole premise of the 3 hills and a tower doesnt really feel like LoD for me. It could even be a new hub or something. FFXIV. Perhaps not raw footage, but Yoshida's "Letter from the Producer" streams have been very successful and might be one of the biggest reasons why FFXIV 2.0's was received so well. There was transparency. We got, and still get, frequent updates on the development of this game. If something wasn't going well with the development, they owned up to it. They want to be a bit more transparent about their development cycles. 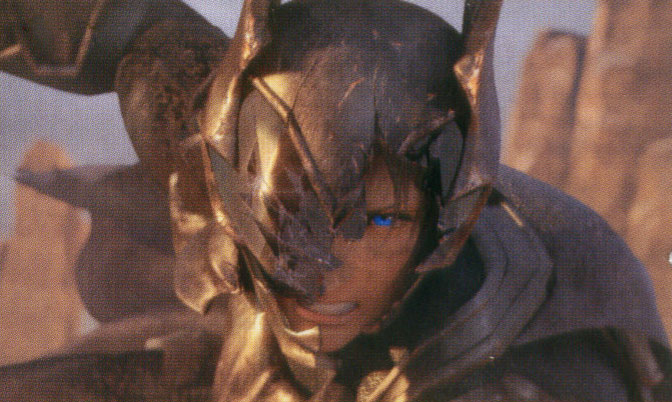 This is why we have Tabata talking a storm about FFXV. This is why we are getting KH3 information even though the team is still trying to get familiar with UE4. We will probably see other projects in the future act on this premise of having semi-regular updates. Like...Nomura probably isn't going to go on a stream and show off his art and talk to special guests, but in general I doubt we'll go more than 3 months without knowing something new about Kingdom Hearts 3, even if it is just "We just finished doing this thing and we will tell you more about the thing at that one event." It seems to be a few things that are causing the pressure. There is likely pressure from shareholders to get some money-makers out, and pressure from upper management to just have any big titles in full production with a good release target in general. Disney probably has their reasons that I don't want to attempt to guess. Fans have certainly been pushing for it since 2006 and even still act as if they were promised KH3 all those years ago (which still baffles me), but as of late the outcry has been growing. And I think the biggest person pushing for KH3 is Nomura himself. Whatever happened with FFXV will probably remain under wraps for a long time, but this now leaves Nomura to concentrate on this game (and the million other projects he has right now) and the best way to move from FFXV is to create the best Kingdom Hearts game that he can make and have it be delivered in a timely manner. Yeah we don't think it is LoD either. During our first viewing it looked like it. I find it hard to explain but they have the same design in mind, for certain, but it also has remnants of Daybreak Town. I can tell you from the FFXI side, Matsui has been more open too about what is going on with FFXI development than Tanaka ever was, tho the game is still going down the toilet at the moment ><. 1.5 years after announcement, this team is still "considering" the worlds they're going to put into the game. Any other competent studio would be halfway done with their game by now. Well atleast they aren't rushing it like most game companies. And they are carefully choosing which worlds should be in the final game and what not. I was thinking that maybe there should be dlc worlds? Not saying they would be canon, but just more worlds we could enjoy playing in. Well, look at Ubisoft. They certainly got their game done and out and what did they have to show for it? It was repeatedly said when KH3 was officially announced that the game wasn't in a stage where Nomura even felt comfortable announcing it. I'd rather have them take their time with the game to give new fans and long Kingdom Hearts fans a product that both could enjoy thoroughly. I have no problem with them taking their time. There's a lot of possible worlds and deciding which ones will make it in is a long process. Better to take their time than acting hastily in their choices. Wow, I didn't even pick up on the 6 chess pieces corresponding with the 6 foretellers in the library in that Chi dream sequence. If that's the case, SE really knows how to have a darn good release schedule, releasing that Chi scene mere days before the chess sequence. I'm just curious which symobls correlate to which people since it's interesting how the argyle pattern is not representing so much more than, well, argyle. Also, on the note of "worlds not decided upon just yet," I always take that with a grain of salt. Whose to say they aren't lying and are just saying that so that people don't rule out movies which are not out or just came out? Perhaps SE got to see them early and decide upon them? I'm just saying I don't always take it at 100% confirmation which is guaranteed. Especially given those Heartless shown off could most definitely can belong to certain movies (the hat arrow one seems more Robin Hood to me than Brave), knights could be a lot of things, and the fire ball could also be a lot of things. Take the words at face value or don't. It doesn't even REALLY matter. This is still accomplishing the goal they set out to do, which is getting people to talk about the game with the least amount of effort on their part. I KNEW I was being manipulated!!!! Honestly...im pretty sure theyve got an idea of what worlds will be in it. Theyve got a list. Theyre picking and choosing (checkin it twice). I cant imagine that they havent made ANY decisions. Even though there was practically nothing when the original footage was released, im sure theyve been working on choosing the worlds to move their themes along. It just makes sense to. We contacted Square Enix and they confirmed to us that the Kingdom Hearts 3 footage was for attendees only. Bummer, oh well, back to waiting for news of other things. Daaaaaaaamn it. But I guess that's a unique reward for the attendees. Hopefully we will get something for the upcoming events, though. Like Jump Festa or something else. Still hopin for something at either PSX, TGA's, or Jump Festa! It's gotta be at one of those three! Please? Unless the representative at Square Enix lied to us, or they change their minds later on down the road, this was only for a small audience who must now carry the memories of that video in their heart. While I wouldn't expect a SE rep to lie, nor would I want them to. It just seems, and bare with me on this, it just seems to be a bit excessive to show footage/game trailer/teaser/concept video for such a small audience (I don't know the actual crowd size). Maybe I sound selfish and greedy but if it were just the concept art and such that seems to make more sense to me. So I hope, as all of you I'm sure, that they change their minds on it at some point. Though I'm happy for those who did get to rest their eyes on it. They use to do this all the time at Japan Expos in the form of the Mega Closed Theatre which I think might have been press only, and maybe a handful of fans. They use to show 3-4 minute trailers that were never shown to the public. We talking previous KH titles or other games too? Normally I wouldn't have a problem with that, but for a title that has had nothing for over a year in the terms of content shown and this level of anticipation is pretty hard to stomach. I don't know about other games since I never focused on those, but it was very common for Kingdom Hearts games to have private screenings there for the first 2-3 years of development. Ahh, never had that problem since I didn't start hounding the internet for KH news till BBS was coming out. I used to have to settle for the times when a magazine showed up on my doorstep with a KH feature in it. Dark times. O wow, never seen that shot before. That's crazy! His helmet got smashed, and that code decoded to revealing his name. Though I don't think anyone would have been able to decode that given the circumstances. Damn, looks so cool... This isn't helping with my hopes for this KH3 footage ya know xP! Your purpose is indeed heinous; crushing dreams like that! I'm not particularly of the belief that we'll see it since it's sorta raw. I don't even feel like we'll see a finished version. I'm just happy to get a description of it at all, which is particularly nice. At any rate, I'm super hyped for all of this! Land of Departure returning more than made me squee like a fangirl, but the whole chess motif was really amazing to spot. Anyway, to all of you that attended, congratulations on seeing an awesome event and shaking Nomura's hand! Fan created character. Looks like a recolor of Sora. ​Though, to be fair, that's about a quarter of the cast already. I was so hyped for a fan-made character, but I can't believe how amazingly drawn it is. Thank you anyway! it'd be nice if they included a test demo with toned-down hardware with II.5 like what Kojima did with Silent Hills or as a pre-order bonus like with Type-0 HD and XV but i guess it helps the hype build up. No, P.T. is totally different. P.T. was quite literally a playable teaser that was launched on the PSN with no fanfare. It was only discovered to be a teaser for Silent Hills when one girl finally beat it after hours of trying to figure out what to do (it was not easy to figure out how to beat the final puzzle). There was no connection between P.T. and Silent Hill until someone finally beat it. Also, P.T. in no way shape or form is going to resemble Silent Hills, barring the Norman Reedus character at the end. Also since 2.5 is a PS3 game and KH3 is a PS4 game, it would be both too difficult to ask for them to literally just make a demo on the PS3 for KH3 as well as it would be too confusing for fans. Making a demo for the PS3 would lead people to believe it was coming out on the PS3. None of this works for KH. We'll probably see another trailer soon, they promised more KH in 2015.
ok i see what you mean, my hype clouded my judgement lol. honestly the chances of seeing a KH demo seem 50/50, we never got any until 3D had a demo in 2012 on the 3DS but then again, SE seems to be more user-friendly than it used to be. 2015 really isn't that far off anymore so I think we can all wait. xD I'm keeping excited based on the descriptions of the trailer alone. I'm trying to think of other gaming conventions before E3 that KH3 could possibly make it's way to. The only thing I can come up with is GDC in march. Though whose to say they need a convention to even show anything off =p. Jump Festa, December 20-21. Not for gaming specifically, but KH has a good history of reveals there. Lookin forward to Jump, was just under the assumption that no KH3 would be present since they said "more in 2015". But, guess that doesn't mean there can't be some at Jump! There's also PAX events. I believe there is one in January. So does anyone know if that video was actual KH3 operating footage or just another CGI movie created specifically for this event? From what I've been told, most of it was just concept art, but the part of Sora walking through the room looked in-game. But without anyone official actually saying it was in-game or not, it's really hard to tell since all we've seen is concept stuff (and this exclusive clip looked better than that). I wonder... would it be possible that the actual cutscene shown is part of a trailer they're gonna release soon-ish? I mean, sure, the concept stuff showcasing the animations and whatnot will without a doubt be exclusive to the people who were at these launch events.. but the cutscene could very well be a "teaser" for whatever trailer they're gonna come up with next. Anyways, I'm really anxious to see new footage. Really curious how good the game looks now. We've gotten a lot of backlash for Square's decision to have the launch event footage be exclusive, but we've tried calming things down by informing people to read between the lines. If Square were to make changes to that footage, in your case remove the concept artwork, then it would be a different trailer they're showing. This keeps their promise of "this will not be released' while giving fans a new trailer. Exactly. I honestly don't mind these exclusive trailers tbh. In fact, it shows that they appreciate their fans. The backlash, in that sense, is a bit uncalled for. But yeah, who knows, the footage that was shown at the launch events might be a mix of both concept artwork and some sort of teaser for an upcoming trailer. Sounds like KH3 still has a long ways to go. 2017 at the earliest in my opinion. I say we get that trending, right now. I hope I'm not classified as a backlasher xD. It'd be ridiculous to take it out on forums since it's no one's here's fault/decision. But peeps gotta vent to someone or something. I'm kinda happy that they made the footage exclusive to participants. It shows how much they really appreciate members of the fan base showing up at events like that. What I don't like: it was in California. The entire KH fanbase does NOT live on the west coast, or even remotely nearby. That's the part that gets me. I understand that the west is sort've a hub for games, but we love them just as much in the central and east areas. Nah, it's all been on social media. i notice something on the kingdom hearts 2.5 launch trailer during the part where they showed the trailer to the devlopers on one the computers it had a picture that look like sora but it like graphics for ps4? I will say, having seen it myself, that one of my immediate reactions to it was that 'we only saw 8 seconds of in engine...' and actually that really is deep in teaser territory. They didn't reveal solid plot point information or new costumes or anything of that nature. It was a pure tease of what is to come which for everyone is going to be amazing for sure next year. Agreed. Many trailers have simply used similar footage from their previous trailers into new ones, so the sneak peek that was shown earlier is most likely going to show up sooner or later. I hope it doesn't unless it is polish up and in real-time because the only thing that COULD be shown is the room Sora walks in and even that was gorgeous but you could just tell it was very conceptual and there to show off their work in the engine. Perhaps the first peek those of us who didn't attend will get would be a bit more of a detailed version? I'm not saying that they reuse what they had. I'm thinking they could show us different perspectives of the locations that were shown in the trailer already. If they're just getting a feel for things themselves, perhaps they'd be comfortable in showing that again, just slightly differently? That's happened with quite a few KH games. KH2 took a while to have anything of substance. Birth by Sleep was radio silent for a while too. We didn't even see a render for Aqua for some time. I'm just hoping that this time will be a bit different. I mean, the demand for KH3 has been around since the advent of KH2. Perhaps it feels different to me because of its newness and differing from the past titles? Most we didn't even ask for. But just maybe we'll get to have at least a slow and steady trickle of information rather than nothing at all? I think that this time they will be more "user-friendly", showing us more about the game in the next year. Considering that now Final Fantasy XV is proceeding faster on his road, and the pression that Square has, they will let us see something more than in the past. I kinda hope they don't give us too much like the 8 minute DDD trailer they released. Sure it was amazing at the time of it releasing but then after watching it I sorta felt like I had seen too much. I'm sure they will temper what info they do release and don't with this game (much like FFXV) as there is so much riding on it and they know it. I don't mind getting a little more than a tease instead of a full blown out 5 minute + trailer.